Rough and tough, imitating the surface of rocks etched by ocean wave. 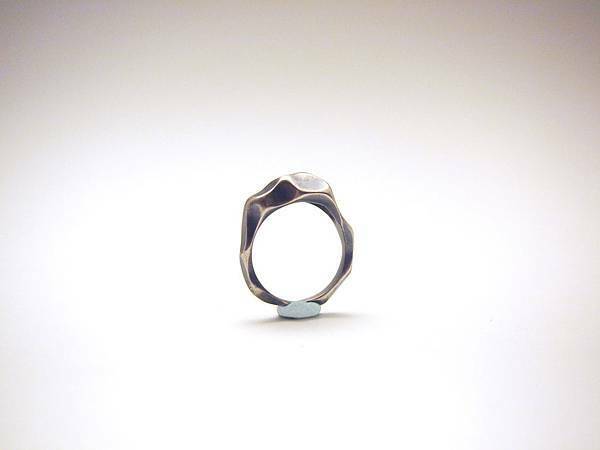 Treated with oxidation and polished finely, to highlight the ridged outline of this rocky ring. Ring size (approx.55mm) is readily available.